If your are looking for Alienware Area 51M driver, then these are Alienware Area 51M drivers for Windows 10 64 Bit you can download and install to get your gaming laptop operate correctly. 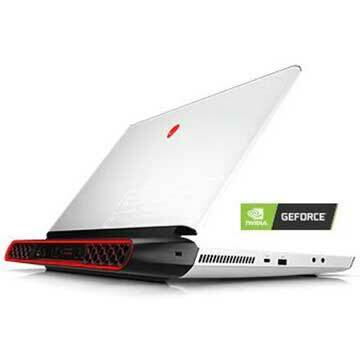 As described at Dell official website, Alienware Area 51M is 17 inche affordable gaming laptop powered by 8th Generation 3.20 GHz Intel Core i7-8700 hexa-core processor or 9th Generation 3.60 GHz Intel Core i7-9700K octo-core processor with discrete NVIDIA GeForce RTX 2070 graphics video card with dedicated 8GB GDDR6 VRAM (OC Ready). This Dell Alienware 17 Area-51M gaming computer comes with 8GB or 16GB DDR4 2400MHz system memory and up to 512GB RAID 0 (2x 256GB PCIe M.2 SSDs) + 1TB (+8GB SSHD) Hybrid Drive to store files, musics, videos, and documents. This 17-inch gaming PC features Killer Wireless 1550 2x2 AC Wi-Fi, Bluetooth 5.0, 720p HD web camera, Type-A SuperSpeed USB 3.0 Port, Thunderbolt 3 Port, HDMI 2.0, Mini-Display Port 1.4, and Lithium Ion (90 Wh) Battery. Up to 4.5 hours on idle.